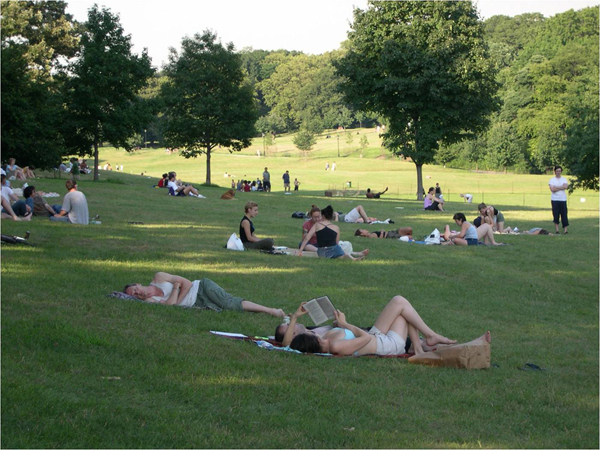 Begun in 1866, Prospect Park is New York City’s second large park designed by Olmsted and Vaux. 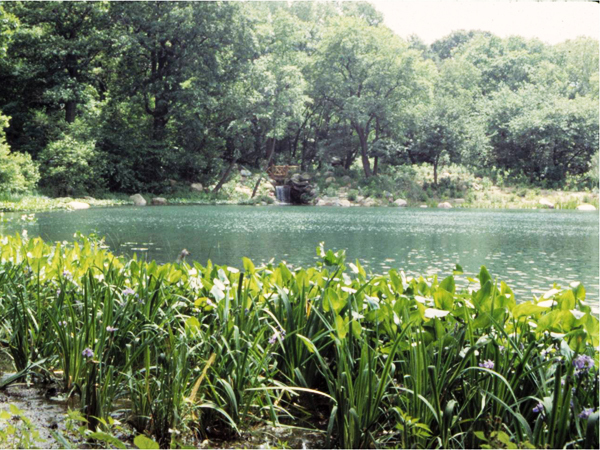 The 585-acre park has a 90-acre Long Meadow to the north and the 146-acre Ravine, a rugged, largely woodland expanse, to the east. 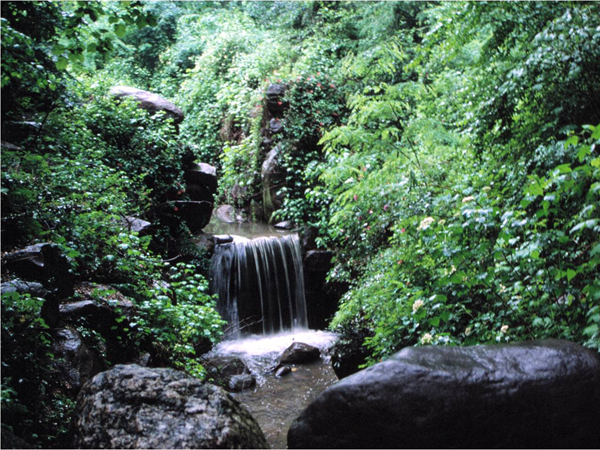 Constructed streams, pools and waterfalls flow through the Ravine and feed into 60-acre Prospect Lake to the south, intersecting with unique bridges and traversed by footpaths and bridle paths. 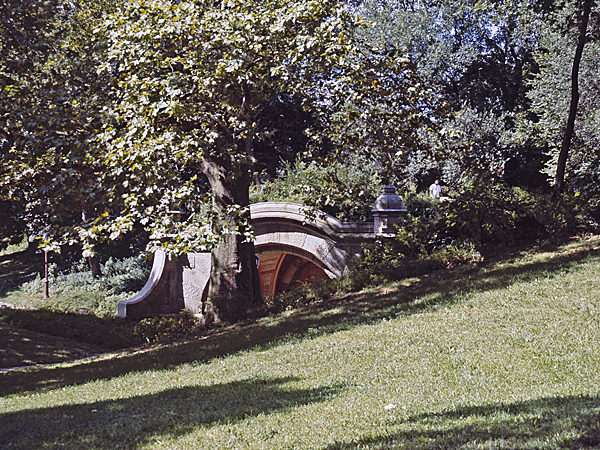 Olmsted and Vaux’s design also includes Nethermead, a rolling meadow within the Ravine; the Concert Grove on Prospect Lake; and rustic bridges, structures, furnishings, and other embellishments throughout the park. 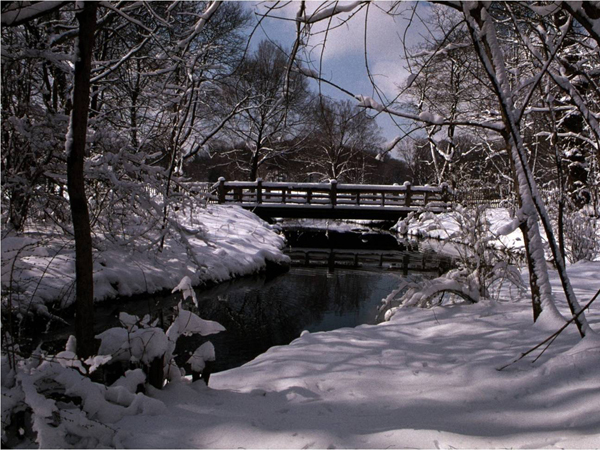 Beginning in the late 1880s, McKim, Meade and White inserted grand and formal structures into the picturesque park. During this period, entrances were formalized (particularly Grand Army Plaza), Beaux-Arts edifices, such as the Boathouse, were erected, and sculptures and memorials by Daniel Chester French, Frederick MacMonnies, and Augustus Lukeman were added. Many rustic features were replaced by monumental stone infrastructure, and automobile access reshaped park circulation. 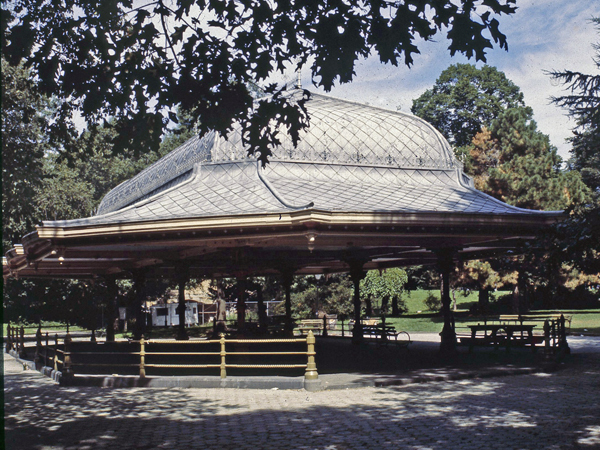 Between 1930 and 1960, under Robert Moses and with Works Progress Administration funding, Prospect Park became a more active park, with new playgrounds, sports fields, the zoo, a bandshell, and a skating rink which obscures the Concert Grove’s position on the Lake. During this period numerous original park features were demolished and maintenance was diminished. 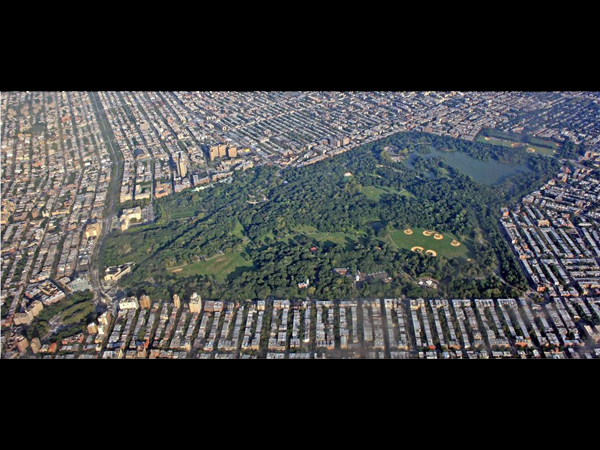 After years of decline, the Department of Parks and Prospect Park Alliance began restoration efforts in the 1980s. 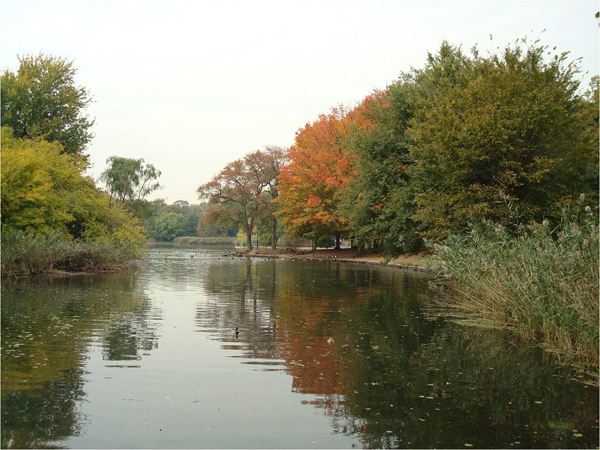 Prospect Park was designated a Scenic Landmark in 1975 and listed on the National Register of Historic Places in 1980.